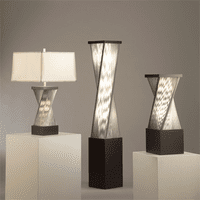 Nova Lighting Lamps available through Z Modern Furniture Store In Alexandria Virginia. White Glove delivery available in Northern Virginia, Washington DC & Maryland. 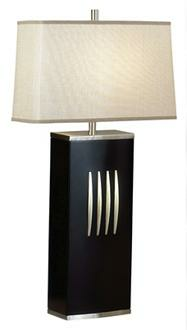 Shop Nova Lighting Lamps on our web site or Visit our Virginia (VA) or Washington DC Furniture Showrooms. 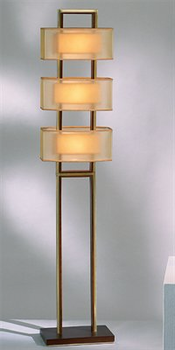 Nova Lighting was founded in 1923 with a commitment to creating original lighting designs that were well-made and affordable. Over the past ten years, our focus has been to expand this creative effort beyond lighting to create a complete lifestyle assortment. Our mission as a company is to be the leading resource for soft contemporary and simple modern home décor to the retail furniture market. Through the advent of targeted acquisitions and a focused approach to expanding product categories, NOVA has transformed as a company. In acquiring Classic Brass in 2000, we added a range of new materials and methods. In 2007, we launched the NOVA Art Studio line of three-dimensional metal crafts for wall art, table and floor sculpture and functional art. 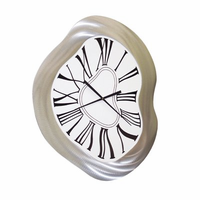 By joining forces with Jon Gilmore in 2008, we expanded into wall art, mirrors, clocks, wall graphics and infinity products. Most recently, we joined Ross Home to our company with the intention of building innovative lighting and occasional furniture made in North America. In Orange County, California, Jon Gilmore operates a prototype shop that serves as a laboratory for new innovations and ideas and short-run production. With our NOVA Mexico factory, based 120 miles to the south of Los Angeles, we have built a well-managed manufacturing capability that offers increased flexibility, allows us to react quickly to the market and provides manufacturing options that are not available in China. In China, we are able to produce higher volume production at lower costs and more tooling-intensive designs. Since founding NOVA Mexico in 2008, we have realized significant advantages in our market. NOVA’s strength has always been as an innovator and a manufacturer, rather than an importer of existing products. We are involved in designing and making product every day. We believe in what we create and we appreciate your interest in our work.